Welcome to Dogs Delight Grooming Academy. If you want to become a Pet Stylist, and are a beginner, we have the in-depth training courses and qualifications you need. 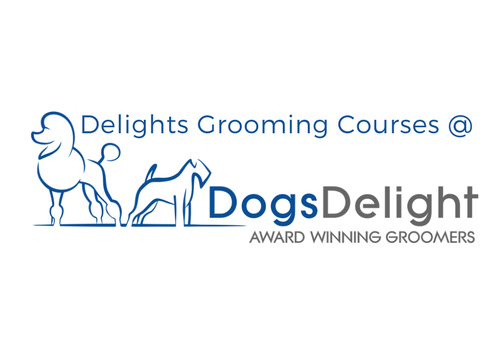 Our intensive grooming course is the only dog grooming course in the UK to include a certificate in Animal First Aid, Certificate in Animal Handling and a certified Grooming Business Management course. Winners of The Liz Paul Award 2016 UK Grooming School Of the Year and many other industry awards, our courses are based in Chiswick in London, suitable for students from: Slough, Reading, Guildford, Sussex, Essex, Surrey, Hertfordshire, Berkshire. We do however welcome students from all over the UK and from around the World. If you are a more experienced groomer we have workshops and webinars that are just for you. Join our Pet Business Club and you can keep up to date with all the latest tools, tips and tricks of the industry. Join our family at Dogs Delight. I am a true dog lover and I have five dogs which include a two Standard Poodles, a Miniature Poodle, a Fox Terrier and a Welsh terrier. I have been grooming since 2000 and teaching grooming since 2005. I am a strong believer in qualifications and as a result I have a BA in International Business, City and Guilds 7750/03 in Dog grooming, The Certificate in Competence in Cat Grooming and a City and Guilds 7303/03 in teaching. I have obtained The Higher Diploma in Grooming and I am a member of the Guild of Master Dog Groomers. I have also been awarded a L.C.G.I in Dog Grooming. I am the owner of Dogs Delight, a successful grooming salon and City and Guilds Grooming Training Center in London. Finally in 2015, alongside Denise Westbrook (Dee4dogs), I set up an annual non profit grooming event which includes seminars, shopping and a competition with the intention of helping both new and experienced groomers to socialise and further their skills.